Zeus was out of our 1st litter and I remember shedding a tear when Jill & David left our house with this big bundle of mischief. We couldn’t of been happier with the loving family life Jill & David gave Zeus. David wanted to show Zeus so we use to go to the shows to support them (we knew nothing about the show scene then). 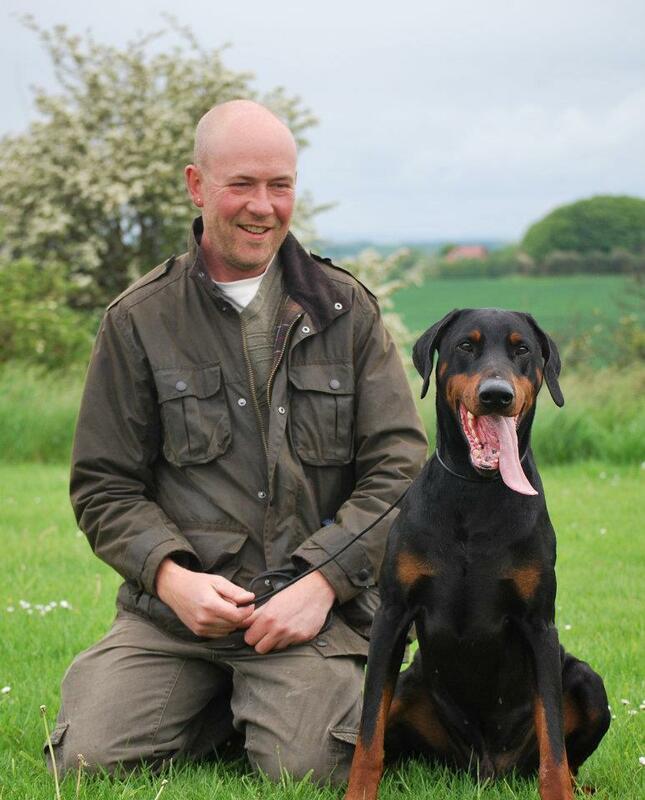 David proudly took Zeus on to being awarded a Reserve CC. They also ventured into Shutzhund and it was great to see David & Zeus working together. You could see the loyalty oozing out of Zeus as he looked up to David. 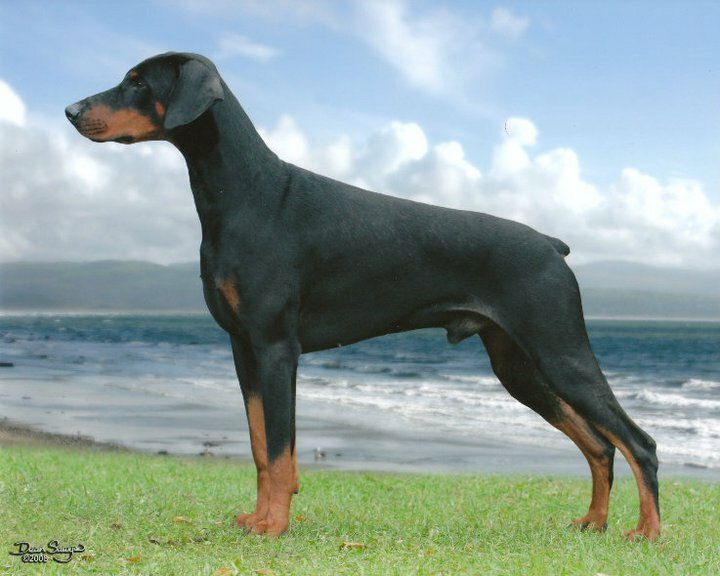 Both Jill & David’s parents were horrified when they told them they were getting a Dobermann but of course Zeus melted their hearts along with many other people. We were all devastated when Zeus was diagnosed with DCM. Jill & David continued to let Zeus live the life the way a dog should until he passed just a month later whilst out on his walk.